Join this fantastic 2-day hut to hut ski tour in the beautiful Rila mountains in Bulgaria, with Georgy, a local IFMGA Aspirant mountain guide. Ski touring and split-boarding hut-to-hut tours in the Rila mountains in Bulgaria is an amazing experience. Join me on this 2-day hut-to-hut program. If you have a good backcountry skiing technique, you can enter the mysterious kingdom of these fantastic mountains! 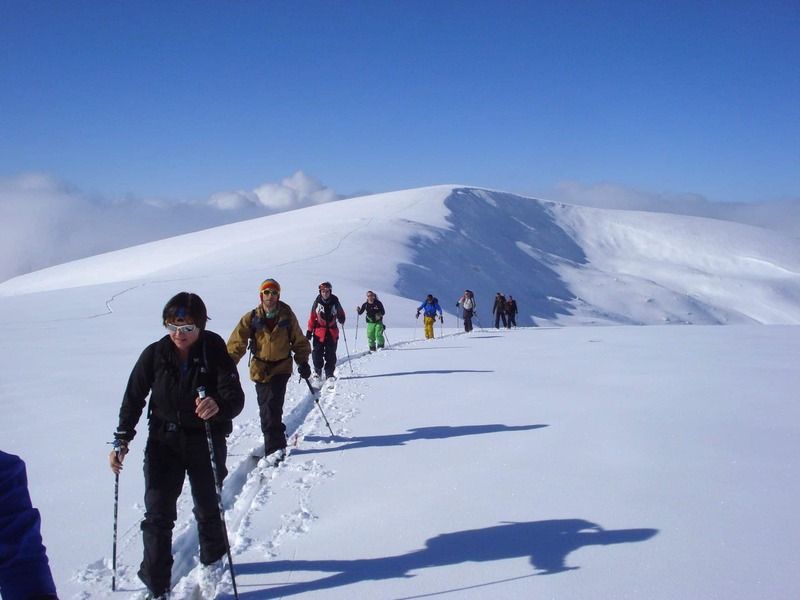 On this program, we will face the Rila mountains equipped with touring skis, splitboard or snowshoes. 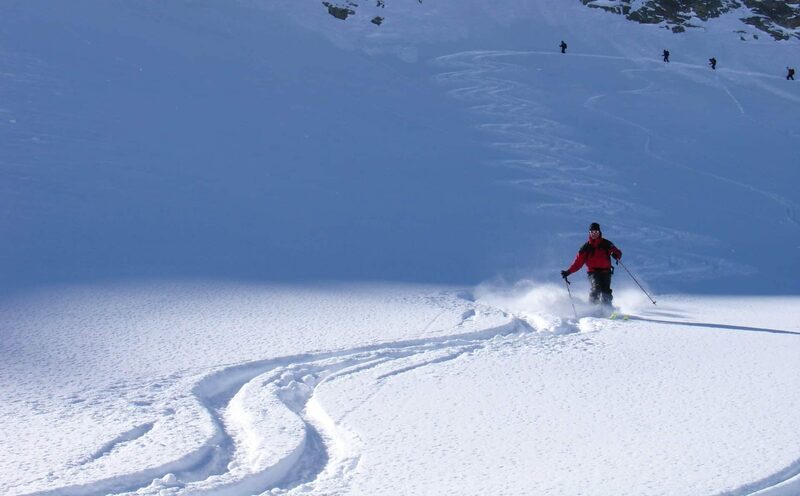 During this 2-day tour we will go on incredible descents, away from the crowds of ski resorts. Plus, as a local guide and expert, I will make sure that you get the safest experience in the mountains. The Rila mountain range is where the highest peaks in Bulgaria are located. 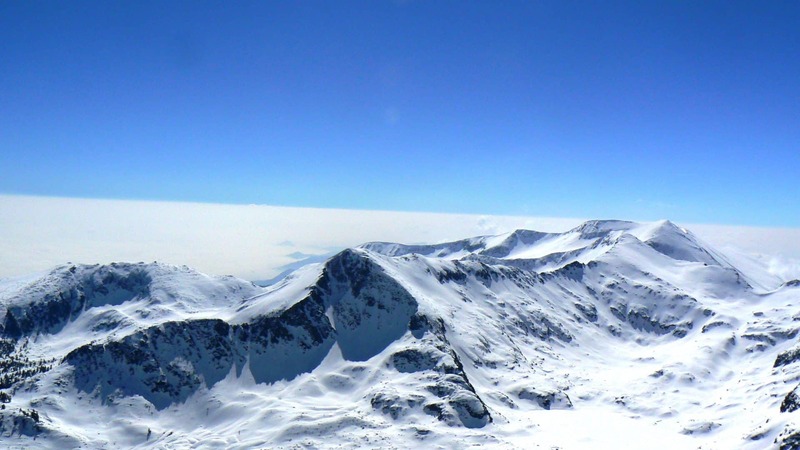 It has over 130 summits above the 2000 m, being Mount Mussala (2925m) the highest. 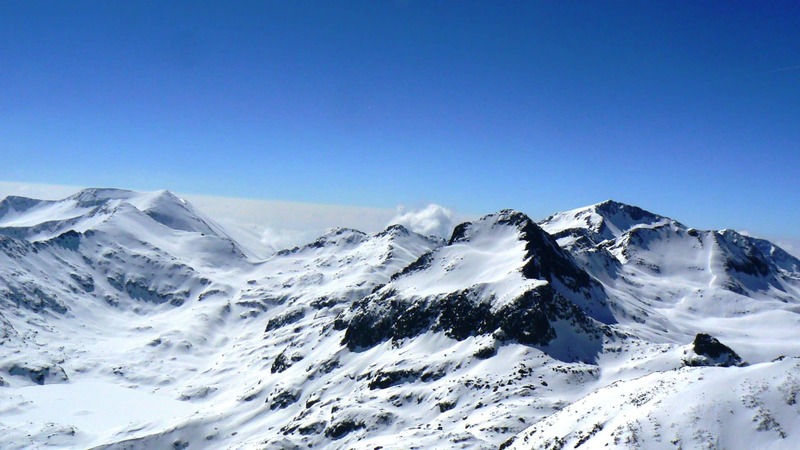 The Rila mountains offer great freeride skiing and ski touring conditions. They also offer several options to choose from, to be decided based on the skill level of the participants, and the weather conditions. On our first day we will transfer to the Borovetz ski resort, where our ascent will begin. Once at the top, and after passing the Ledeno Ezero Hut, we will enjoy a 1550 m descent. On the second day, we will get to the Maliovitza hut, and ascend the Maliovitza Peak (2729 m). Then, we will pursue a great 1,000 m descent. Have a look at the detailed itinerary below. Ready to join me and discover the beautiful mountains of Bulgaria? 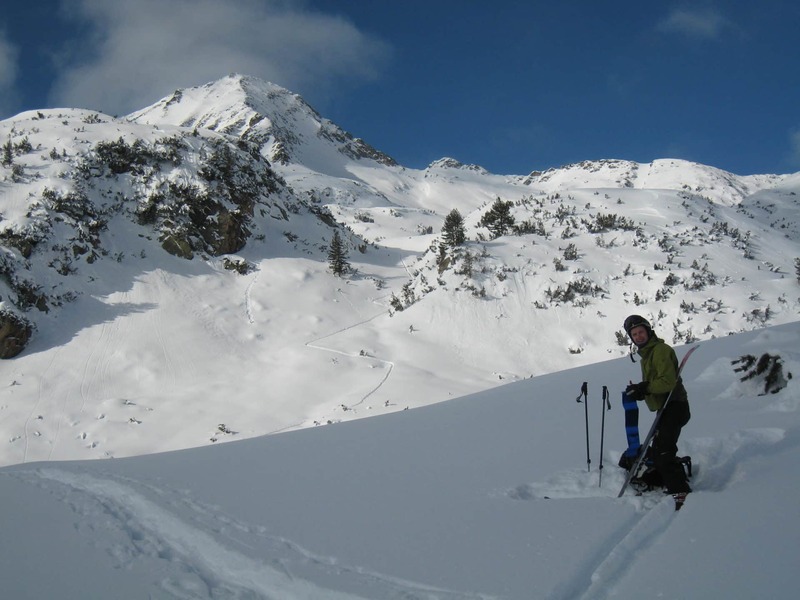 If you are interested in this Rila mountains hut to hut ski touring 2-day trip, click on the “Request to book” button! Not included in the above prices: avalanche safety equipment, skis and snowboard rental, transfers, lift passes, food, accommodation, and insurance. I am an IFMGA Guide and have been working as an independent guide since 1994. I guide trekking groups worldwide: Alps, Himalayas, Carpathians, the mountains of Turkey, Greece and Macedonia and others. I did numerous ascents in the Alps and peaks over 4000 m. (over 30 ascents of Mont Blanc, peaks of the Monte Rosa range, Gran Paradiso, Grandes Jorasses, Mаtterhorn, Bar, Dome Des Ecrins etc), Caucasus, Pamir and others. I was the leader of ski expeditions to Mera Peak, Saribung, Larkye Peak /first ski descent/alpine expeditions to Ama Dablam, Island Peak (Nepal), ski groups to India, the Austrian, French and Italian Alps, Turkey, Macedonia, Greece. 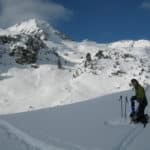 I have been guiding trekking, climbing and ski touring groups in Bulgaria and abroad for Club Aventure, ZigZag, Atalant, TopSki (France), Exodus (UK), SNP (The Netherlands), Lapoint and others. 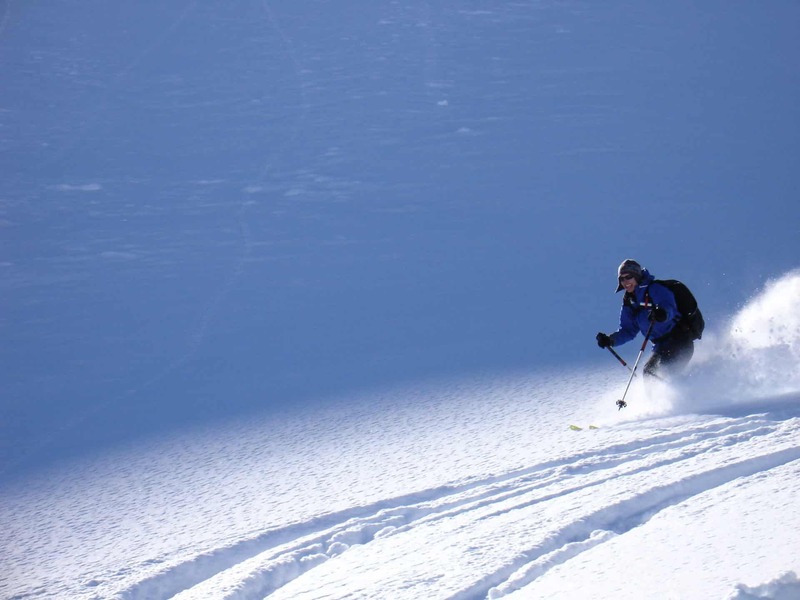 I did first ascents in the Bulgarian and Turkish mountains, numerous first ski descents. I participated in numerous Bulgarian first ascents worldwide. I'm an instructor at Maljovitza Mountain School and “Mountains and People” Association. I was the technical director of the “Shared Peaks” project in 2007 and 2009.
well, and did everything to make this trip fun, comfortable, safe and memorable for our group of four. Plus, he’s fun to spend time with. I can’t speak highly enough for him and absolutely recommend him for any guiding needs. 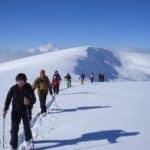 accommodate our precise itinerary whilst also recommending if it was feasible, what the snow conditions were like and what grade of touring/mountaineering/skiing was possible. He was also able to arrange all logistics and accommodation where necessary. 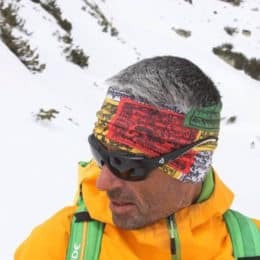 He was actually busy for the dates that we wanted but introduced us to Hristo who we We ski toured for 5 days hut-to-hut in both the Rila and Pirin mountain ranges, both equally rewarding and stunning. Hristo, our guide, was excellent, personable and above all showed us a great time in the mountains – challenging us on the uphill and downhill and keeping us aware of and safe in the terrain. It was a fascinating trip which opened my eyes to foreign cultures and new mountain ranges. See Bulgaria, you won’t be disappointed.